Paul Weller Announces Charity Concert In Liverpool For Be One Percent! – Paul Weller News! Paul Weller Announces Charity Concert In Liverpool For Be One Percent! Paul Weller has announced a charity concert in Liverpool for the Be One Percent organization on Thursday 3rd July 2014 at the East Village Arts Club. Tickets on sale tomorrow (Wed, 4 June) and are limited to two per household with the purchasers name printed on each ticket and must be accompanied by matching identification to gain entry. Steve Pilgrim is the drummer with Paul Weller’s band and is one of the founding members of the charity Be One Percent. Paul has been supporting this charity for a while now and when booking his summer touring, he thought it would be good to do a small show in Liverpool to help raise much needed funds for the charity. 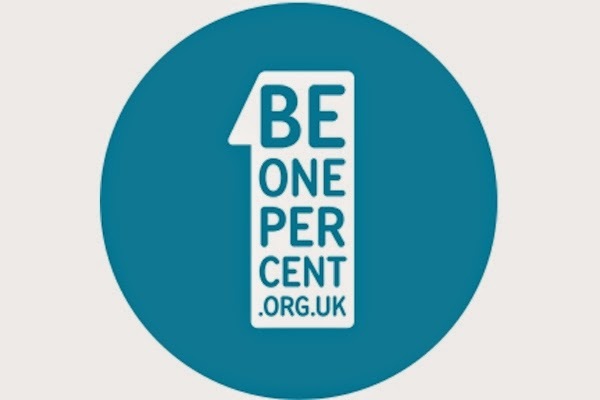 Be One Percent is a network of individuals who commit to giving 1% of their income each month to help the world’s poorest people. It’s a simple idea. By giving as a network we create a powerful and effective fundraising mechanism, which means that together, we make a greater impact for some of the worlds poorest communities. As the network of givers grows, we achieve more and more – and change the world we live in. 100% of their Members Donations and Gift Aid get passed to their partner organisations. As with all other public donations to Be One Percent, 100% of the money raised from the night will go to fund projects on the ground. To ensure all profit from this show go to the charity we have asked the ticketing agency to personalise each ticket with the purchasers’ name and ask that the purchaser brings along photo identification which will be checked on entry to the venue. Previous Entry Paul Weller Announces "More Modern Classics" For June Release! Next Entry Paul Weller’s More Modern Classics Debuts At Number 6 On The UK Charts!